Skylights are a stylish way to add natural light and a fresher feel to spaces where a flat roof or tiled roof could create an otherwise unwelcoming environment. See our stunning collection of Skypods! 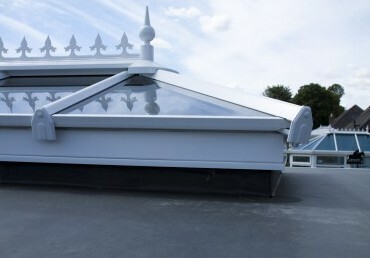 Discover our gorgeous new range of flat rooflights. 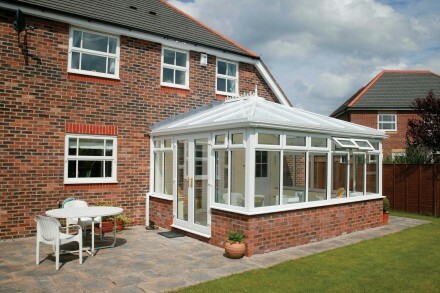 Discover how Hybrid roofs can turn a conservatory from drab to fab! 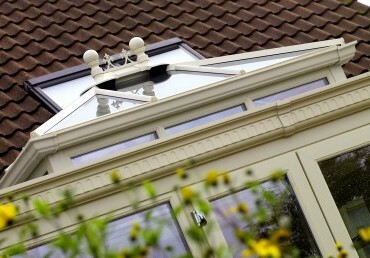 Learn how roof lanterns can help to transform your home! 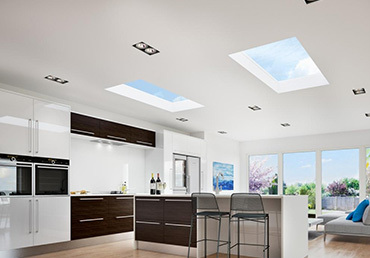 Bring an ever-changing skyline into your home with the addition of a stylish Skylight! Here at EYG, we have two specialist products which can help to improve your home's ambiance through a roof-top glass structure: Roof Lanterns and Skypods. Both of these skylight window styles are an affordable way to make any space have a big impact. Bespoke produced at our main manufacturing facility in Yorkshire and with multiple glazing options available, we can design and fit these skylights to your exact requirements - including any height or depth that may be required. Designed for use specifically on all flat roofing systems, our skylights come in many different shapes, sizes and styles - meaning they can be partnered with almost every roofing product which is currently on the market. This includes waterproof membranes, EPDM, GRP fiberglass, felt and liquid rubber roofing systems. Having achieved the highest possible British manufacturing standards possible, our flat roof skylights are safe, strong and packed with high-security features. They also come with a ten-year warranty to provide you with complete peace of mind. 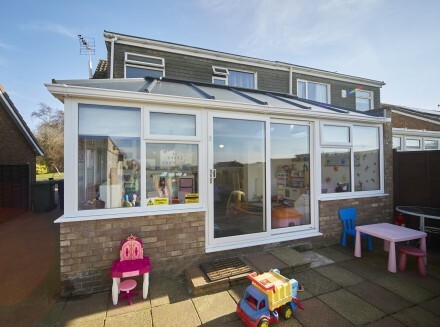 With a wide range of RAL colour finishes available as well as different shades for the inside and outside of your home, we are confident you will find the perfect skylight combination for your home. 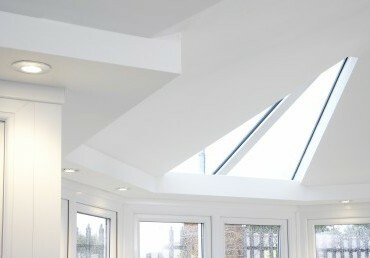 Discover more about our full range of beautiful skylights, please call 0800 181888 and ask for a free no-obligation quote. To request a complimentary design survey at your home, fill in a call-back form and we'll arrange for a design expert to visit as soon as possible.